Seen on r/tea: a photo of the poster's boyfriend brewing loose-leaf tea at work, MacGyver style. Clever, no? 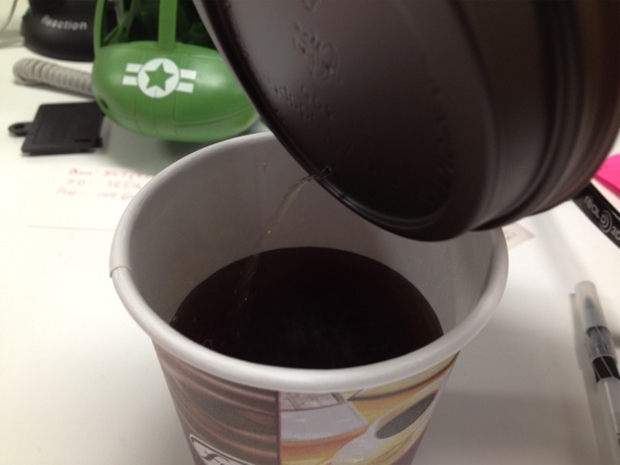 You could even poke additional holes to allow the tea to drain more quickly.